You can practically get pizza anywhere at anytime in Vancouver. From the regular chains to the corner slice joint, there is indeed a lot of choice. However, this "choice" doesn't readily include Neapolitan pizza. No, I'm not referring to the multi-flavoured ice cream. 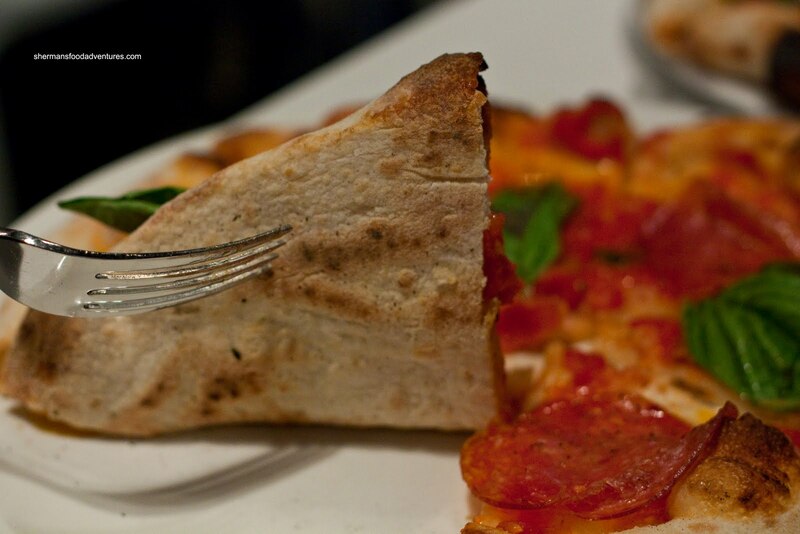 Rather, it is authentic pizza hailing from Naples, Italy. 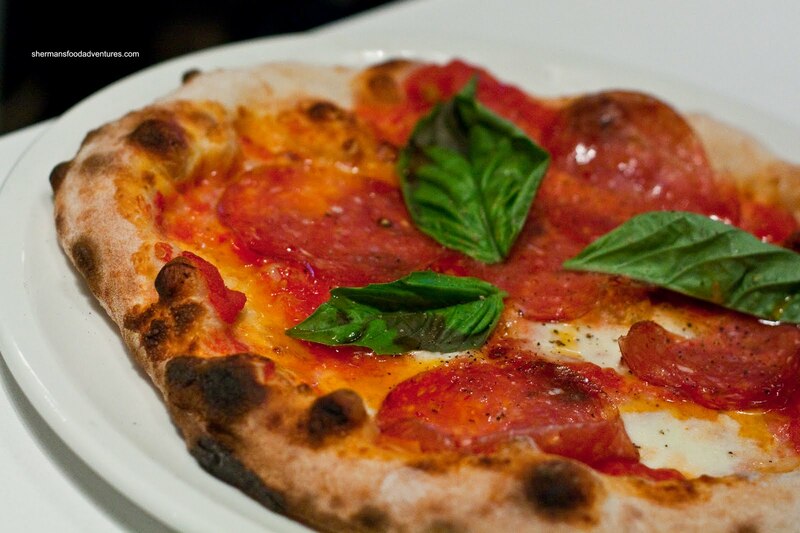 Traditionally, this pizza is thin crust and cooked in a wood-fire oven. The temperatures achieved in this type of oven allows for the pizza to cook quickly and to attain its signature char. The most widely known version is the pizza Margherita. The crust should be crunchy while still chewy and soft at the same time. San Marzano tomatoes are typically used as with buffalo mozzarella. Fresh basil completes the pizza. Not too many places in Vancouver even attempt to make pizza like that. Until now... Located in an up-and-coming section of Gastown, Nicli Antica Pizzeria offers up the authentic Neapolitan pizza experience. After that build-up, Vandelay and I tried the place out for lunch and naturally had the Pizza Margherita. As evidenced in the picture, the crust was nicely charred in their wood-burning brick oven. Consequently, that is already light-years ahead of many other pizza joints. Add in fresh pomodoro, fresh mozzarella (cow's milk in this case), parmigiano and topped with large basil leaves, this was a very good pizza. Vandelay, who has been to Italy, remarked that this is the closest he's had in Vancouver to the real thing. For myself, I found the crust to be quite good with a nice crunch giving way to a pronounced chewiness. We got the the Diavola for our second pizza. It consisted of pomodoro, parmigiano, fior di latte, sopressatta, basil, finished with chili oil. Similarly to the Margherita except with sopressatta and chili oil, this was a heartier and spicer pizza. This would be a good choice for someone who wanted something more flavourful. 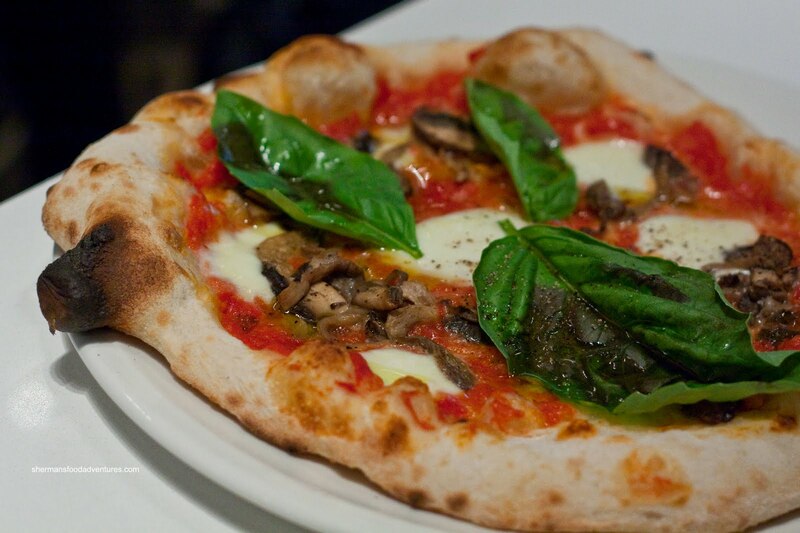 For our last pizza, we had the Funghi which consists of pomodoro, parmigiano, fior di latte, funghi and basil. Once again, it was similar to the Margherita with the addition of mushrooms. As the picture clearly illustrates, the crust on this one was quite a bit lighter in colour and less charred. Hence, with the addition of mushrooms, the pizza got soggy real fast. The earthiness of the mushrooms was welcomed; but the wetness of the crust detracted from the experience. Let's just attribute this to a one-off. Not a hot enough spot in the oven? Despite this, the overall experience at Nicli Antica was a positive one. 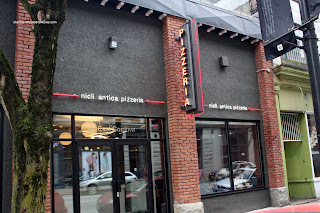 Sure, it has this post-modern look with a combination of old Gastown and elements of NYC; but don't let the decor fool you, it is authentic Neapolitan pizza. Sure, there are things that could possibly be better. After all, there is nothing perfect in this world... 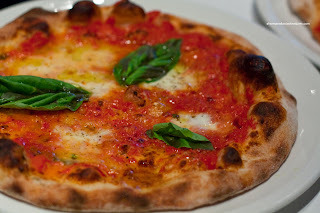 The price of some of the pizzas other than the Margherita might turn some people off; however, quality comes at a price. So, for what it is and where we are, it can be considered pretty darn good. The pizza is closest to something from Italy in Vancouver. That being said, I still say that calling any pizza in Vancouver is the best is like saying you are the tallest midget in the world. LOL... Yup, that is indeed true. But we just have to accept what we got here. It is what it is - according to a number 44. How would you compare Nicli to Bibo's pizza since both are claiming Neopolitan-style? @Daily Slif I personally like the one here at Nicli more. The crust in the middle is a bit too soft for me at BiBo. However, the toppings at BiBo are pretty darn good though.